The free car game Garbage Garage lets you develop your junkyard step by step and become a true car-aficionado in the process. No matter how beat up the vehicles that are dropped off at your workshop: you'll manage to salvage useful spare parts from even the most battered ones of the lot, which you'll then sell to make money. Later on, you even may build new cars, as one of the game's many special features allows you to construct your own personal vehicles from the parts you manage to salvage from the wrecked cars you dismantle. The garage game GarbageGarage offers you diverse gameplay-features. You'll start off as humble amateur mechanic and learn your trade from the scratch. The better your skills, the faster you'll manage to level up. Your exceptional skills in running your own Garbage Garage are sure to spread like wildfire pretty soon and will attract additional clients. What's more, the variety of vehicles that are delivered to your junkyard as the garbage game progresses will broaden also. Among those you'll find cars and trucks just as much as motor boats, helicopters, airplanes and even tanks, rockets and spaceships. Of course you'll be able to combine parts from these different vehicles as the game progresses and create your own personal motorized masterpieces. Garbage Garage belongs to the genre of free car games. As browser game, GarbageGarage can be played directly in your browser - no downloads or installations necessary. To be able to play along for free, all you need is a working internet-connection and an activated email-address - and you are good to go in our garage game. While most free car games tend to revolve entirely around the topic of "racing games", GarbageGarage manages to combine several elements of the genre in a most entertaining and thrilling manner. 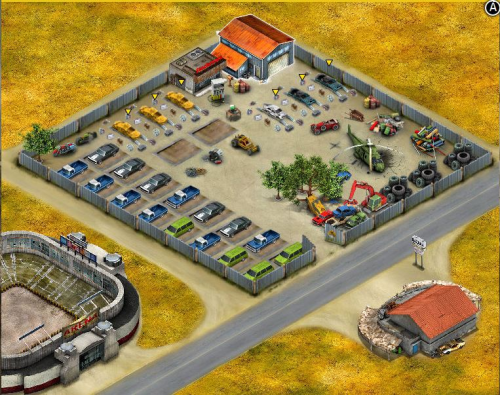 Thus, the garbage game presents its users an exciting mixture of strategy game and salvage yard simulation and has managed to attract a wide audience already. Garbage Garage truly fascinates players of all ages - and it's safe to say that thanks to its unique and comprehensive concept as well as its convincing game mechanics, GarbageGarage is sure to satisfy browser gamers on all accounts. Experience a unique game, develop your own junkyard, gain virtual money and experience points and prove that your car-creations are the best on the entire game Garbage Garage. Discover the garage game with its wide range of features and get to know one of the greatest free car games available online. Polished chrome, giant wheels, sparkling aluminum rims reflecting the sunlight and vehicles that are sure to catch the eyes of all passers-by. The free browser game GarbageGarage by German browser game provider upjers lets you take on the role of an aspiring junkyard-owner. Though your workshop's space is quite limited at the beginning, you've already got ambitious plans: you are planning to become the best-known junkyard owner on Garbage Garage. To reach your goals, you'll of course dive right into your work. You dismantle and reproduce the salvaged parts from the multitude of vehicles delivered to your Garbage Garage. The numerous components that differ both in form and color can be sold, thus gaining you virtual money and allowing you to expand your junkyard. Additionally, as the game progresses, you'll be able to build your very own special vehicles. GarbageGarage allows you to let your imagination as car part-artist run free and choose from a variety of design options. Aside from this, it's your goal to expand and spice up your junkyard. The better you are, the faster you'll level up. Garbage Garage presents you a large number of different gameplay-options. 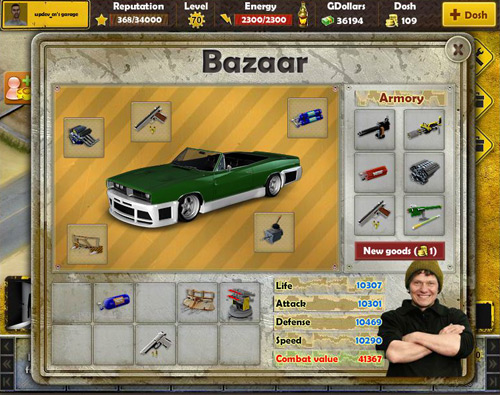 Another of garage game's advantages is that this unique car game can be played entirely for free, thus enabling all internet users to play along. The only preconditions you need to meet to sign up and create a free account are a working internet connection and an email-address. And that's really all! Right after having signed up, players are taught the most importants steps they need to know to play the garage game via the so-called tutorial, the introduction to the game. The game mechanics of Garbage Garage are extraordinarily user-friendly, and the game comprises of a highly intuitive mouse-control system. This allows players to get started easily on this garbage game and find their way around without any problems. Heaps of gaming fun guaranteed! As browser based online game GarbageGarage also features numerous ways of communicating with your fellow players and play side by side. So it's well worth diving into the colorful chrome and steel gaming world of Garbage Garage and create your very own virtual junkyard. Discover this extraordinary car game online. This mixture has got something in stock for all players. In Garbage Garage, a truly unique browser game among the genre of free car games, you'll experience a scenario unlike any others. As newcomer, you'll start building and expanding your own junkyard, the so-called Garbage Garage. Various vehicles will be dropped off at your workshop, which you'll then have to dismantle. The salvaged parts can be sold to the customers that will stop by at your junkyard in this garage game. The earned virtual money will allow you to expand and enlarge your wrecking yard step by step and bit by bit. 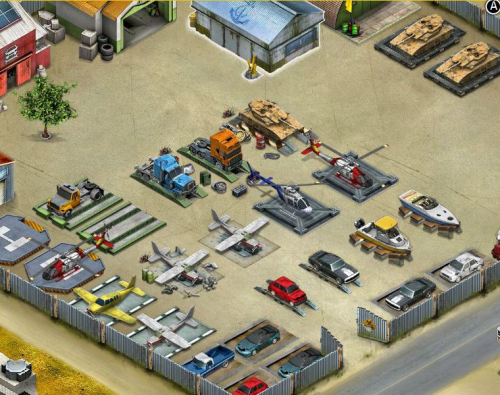 GarbageGarage presents you an entertaining and thrilling mixture of strategy game and economy simulation, which is combined with many further fascinating features and thus offers you a large variety of gaming options. As the game progresses, you'll gain access to numerous different types of vehicles, which you'll dismantle and sell to your customers. 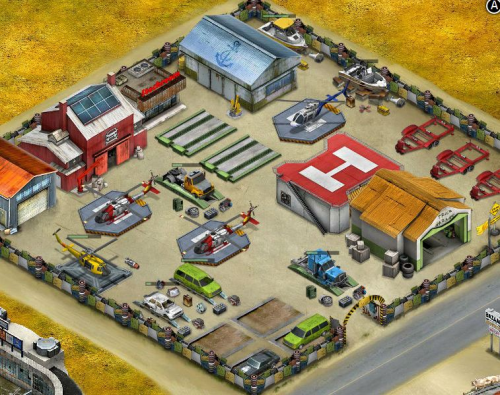 You will start off with cars and trucks, but soon enough you'll be able to prove your skills as GarbageGarage junkyard champ on motor-boats, helicopters, airplanes, tanks and even rockets and spaceships. Want to compare your abilities with those of other players? Then we've got a very special multiplayer feature for you: the arena enables you to compete directly against other players. For Garbage Garage doesn't just enable you to salvage parts from dismantled vehicles and sell them, but also to combine them and create your own unique cars and vehicles. Garbage Garage offers its users a concise game concept. What's more, it can be played entirely for free. As browser game, the game Garbage Garage can be enjoyed right after you signed up for free - no downloads or installations necessary. 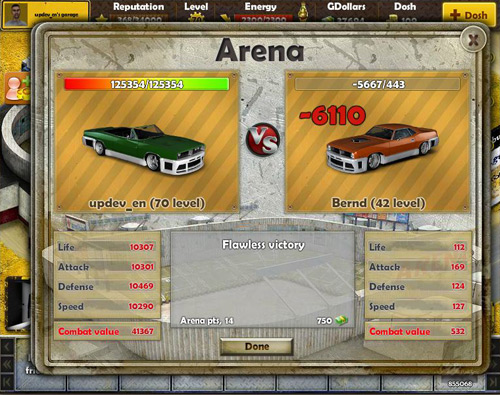 Due to its unique concept, the garage game has managed to attract a wide variety of different players already. As the setting of GarbageGarage is completely different from that of pure racing games and the game cleverly combines several genres, it offers both older as well as younger users a great gaming experience. GarbageGarage ranks among a new generation of free car games that manage to convince in their entirety. Discover a unique strategy game in an unusual setting that is brimful of exciting challenges and tasks. Open your own Garbage Garage and start making your way to becoming one of the best junkyard dealers there is. Sign up for free now and play along. Sign up for free now and get a bonus! I have read and agree to the GTC / Data Privacy Statement.